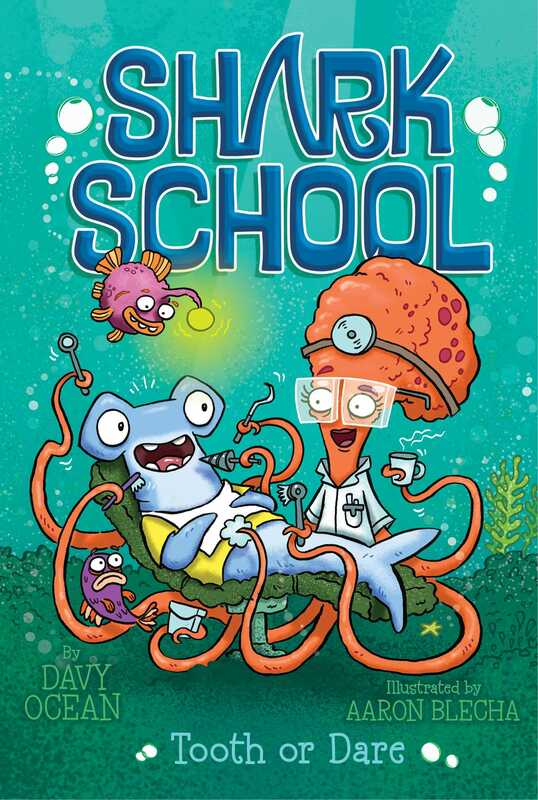 Harry Hammer competes tooth-for-tooth with his rival Rick Reef in hopes of winning a fin-tastic amusement park prize in this seventh Shark School (mis)adventure. Everyone in Harry Hammer’s class at school is talking about a fin-tastic new ride that’s premiering at Dregoland, Shark Point’s amazing amusement park. It’s the most terrifying, dorsal-defying, scare-fest in the whole wide ocean! And guess what? Whoever loses the most shark teeth in Harry’s class will get to go on the ride before anyone else—and meet Gregor the Gnasher, superstar wrestler.